8/22/1965. 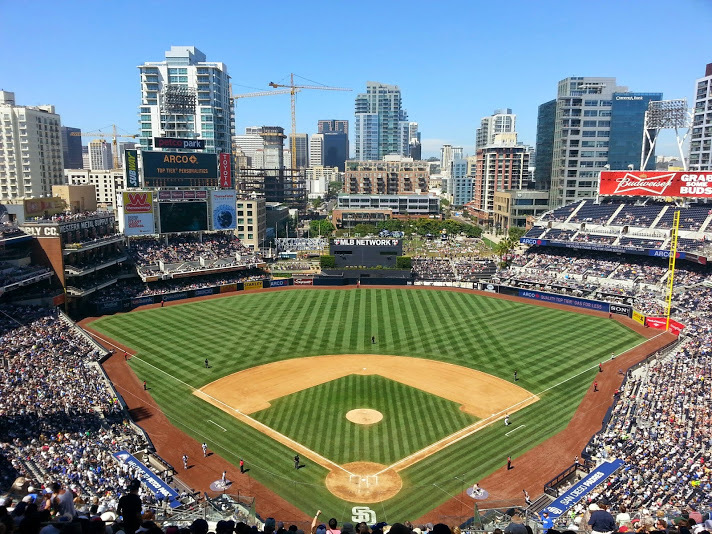 The most famous on-field fight in baseball history took place between Dodgers catcher John Roseboro and Giants pitcher Juan Marichal. Juan Marichal would be suspended by NL President Warren Giles as he would miss two key starts that would be a huge key down the stretch. 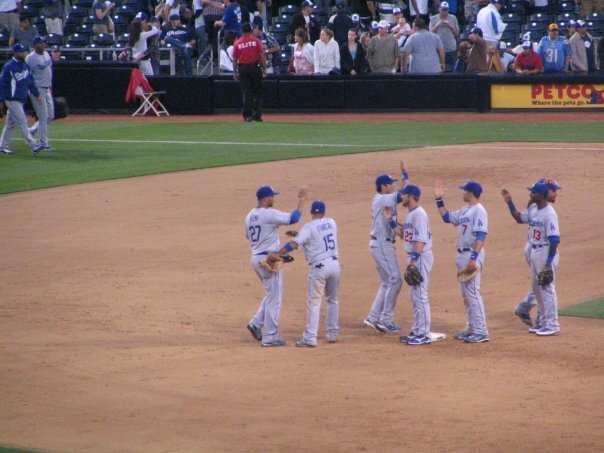 The Dodgers would edge the Giants for the NL Pennant en route to their 3rd World Championship in L.A. I waited awhile to see our proud Blue on the left. Just like this day, 51 years ago when tensions came to a boil, the Dodgers and Giants find themselves in a heated battle for the pennant. 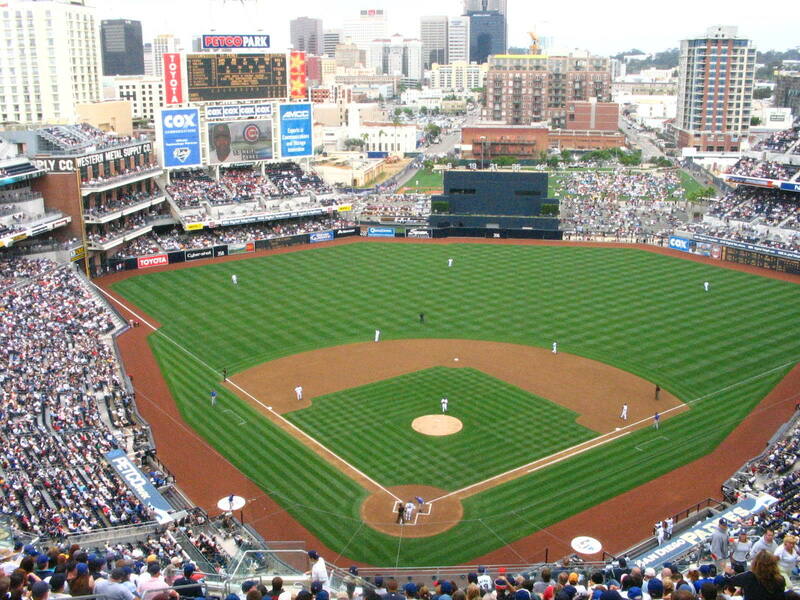 So just how do these two heated rivals match up heading into the upcoming 3 game series at The Ravine? One thing is for certain. 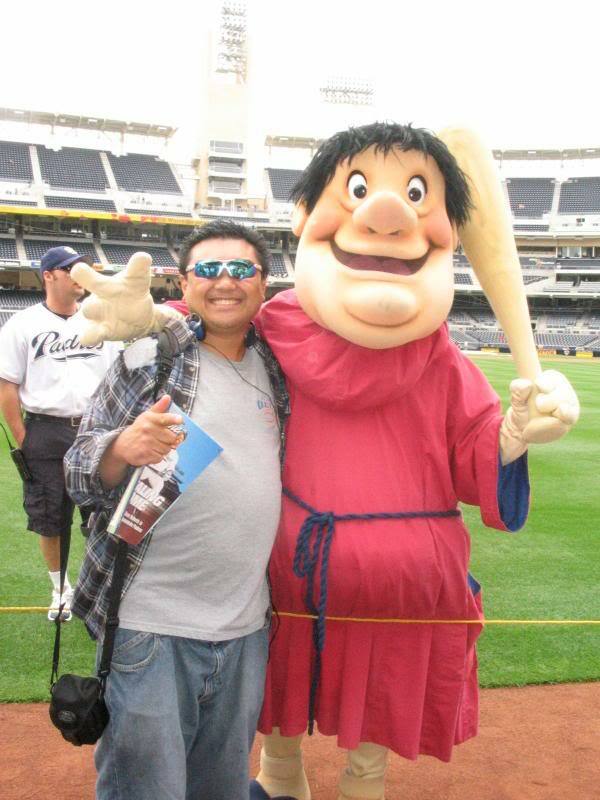 In spite of the Giants recent struggles we do know this series will be anything but a walk in the park for The Blue…. 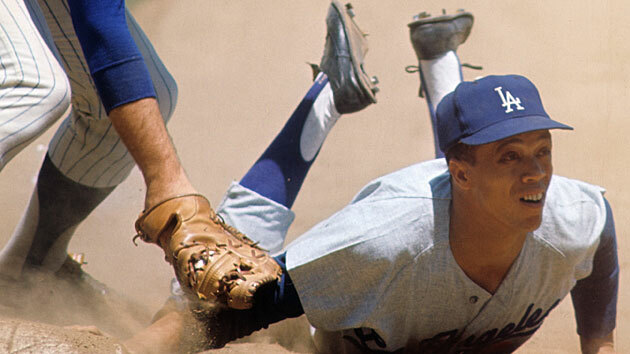 As the Dodgers would move into their glimmering new digs atop the hills of Chavez Ravine in 1962, Sandy and Maury would do more than dazzle the citizens of The Ravine. However, in the 60s, with Sandy’s Jewish heritage and Maury’s African-American roots, the two, 12 years prior to Hank Aaron, we’re not so immune to the racial prejudices of the time. As both we’re chasing historical personal feats, the two would be united in not only their battles with the rival Giants but protecting each other as both received countless hate mail. Imagine if twitter had been around in the early 60s. 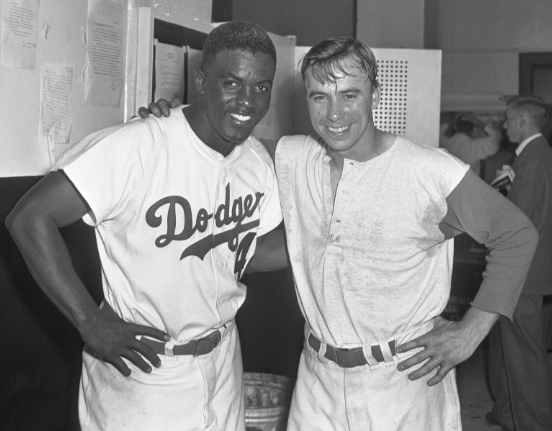 An excerpt from the recently released book The Last Innocents: The Collision of the Turbulent Sixties and the Los Angeles Dodgers, written by Michael Leahy, discusses the racial barriers the two would endure as they we’re setting records along the way of chasing a pennant. 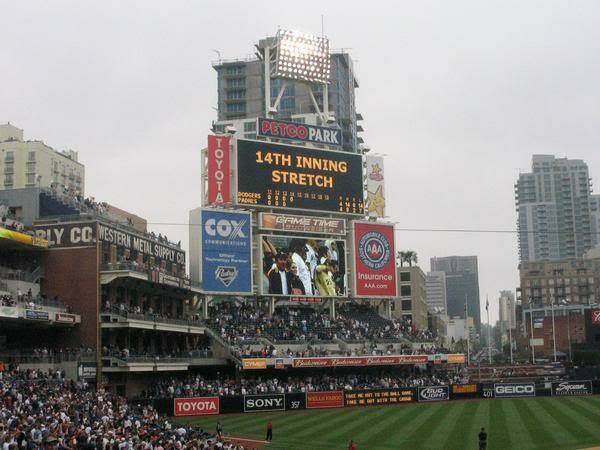 Also included as you click on the above link is a video of our Vin Scully reflecting on his Hall of Fame career in typical humble Vin..
One of the things I attempted during the 2006 season, the first year of Good Dre, was live in-game blogging. 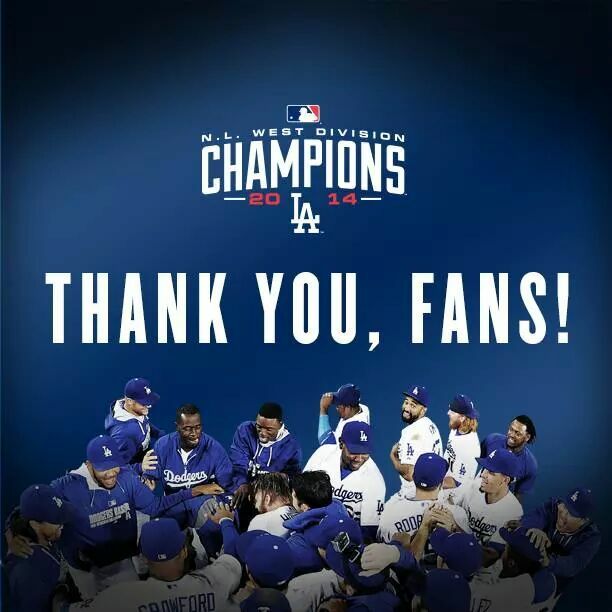 That has long been replaced by various social media outlets, particularly Twitter (@good_drei) and Facebook, where countless Dodger fan pages, as well as other team fan pages, exist. 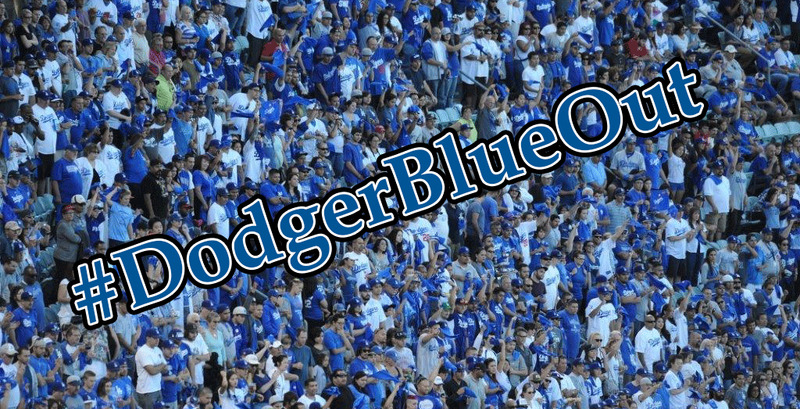 The FB fan pages, particularly Dodger Blue, have been a great way to communicate with fellow Dodger fans. Social Media ? In 2005 MySpace ( Does that still exist ? ) was the norm. I had my reservations about the use of social media when it first came out. In many ways, I still do…LOL. 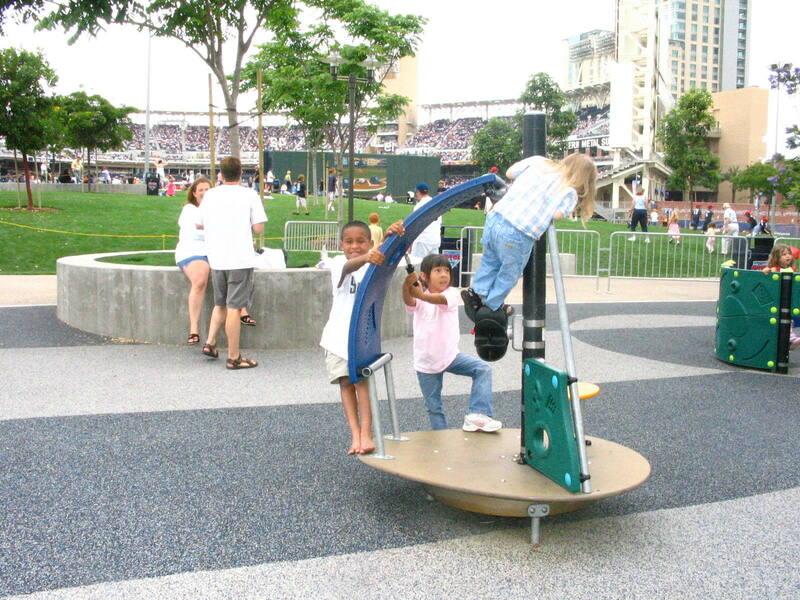 Social media has arguably been our primary source for sharing our Dodger or even real life moments. Along the way, we’ve discovered other social media outlets for sharing our memories, be it Snapchat or Instagram (@good_drei), among the countless other social media outlets I’m sure i’m leaving out. In the 10 years, Drei here has enjoyed sharing countless pictures and stories, both real and comical. 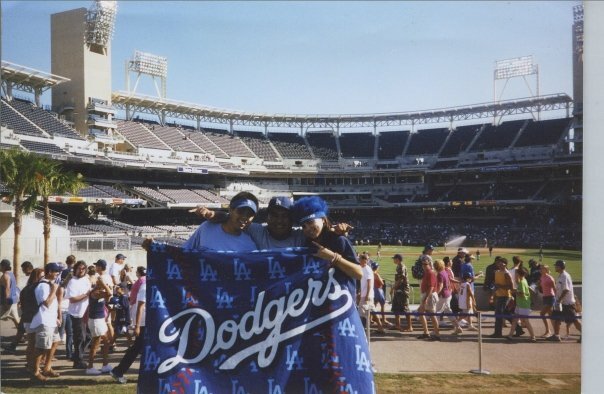 Drei has seen Dodger games along our great state of California, as well as St. Louis, Houston and as far as Turner Field in Atlanta, also visiting 20 different MLB cities while taking in a game at 17 of the current parks. Oh yeah. 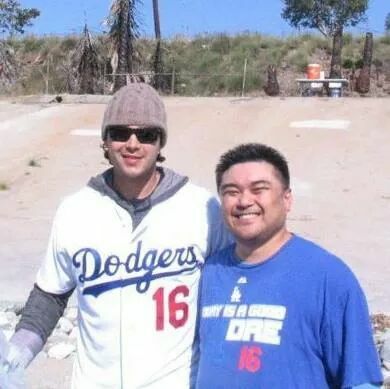 In the 10 years since Good Dre in L.A. began, which Dodger has been around the longest during that span ? 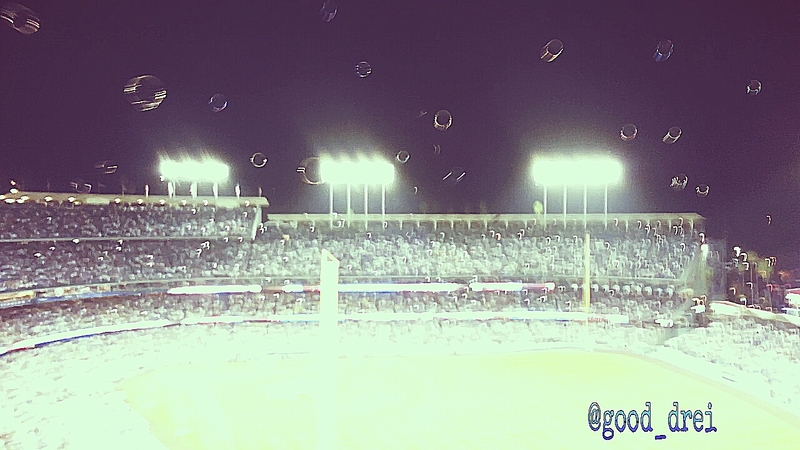 One of my favorite moments in the 10 years cheering on The Blue at The Ravine ? 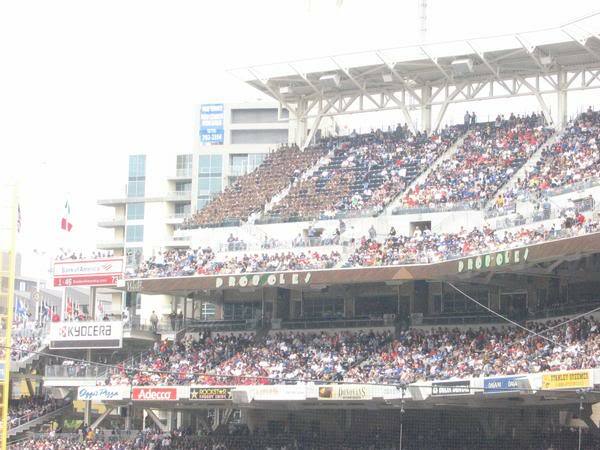 Why don’t I just let Vin narrate it for you, as this took place in Game 2 of the 2009 NLDS, as I was witnessing this form high above behind home plate up in the top deck..
Here’s hoping this upcoming 2016 season, the final one to be called by Vin Scully, his final call will be inside a champagne drenched Dodger clubhouse come late October/early November. It’s been 27 years now. 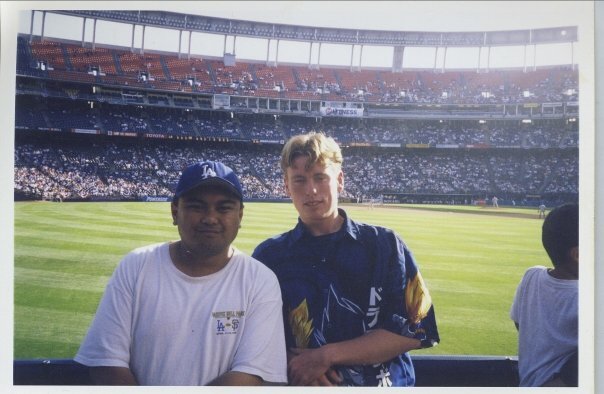 April, 2001, Quallcom Stadium, with my buddy and old roommate Chris. Someday Chris, I will pay you a visit to Louisville and we’ll catch a Louisville Bats game ( Reds AAA affiliate ) . We’ll even go to the Louisville Slugger museum. At the old Standing Room Area in the LF corner. 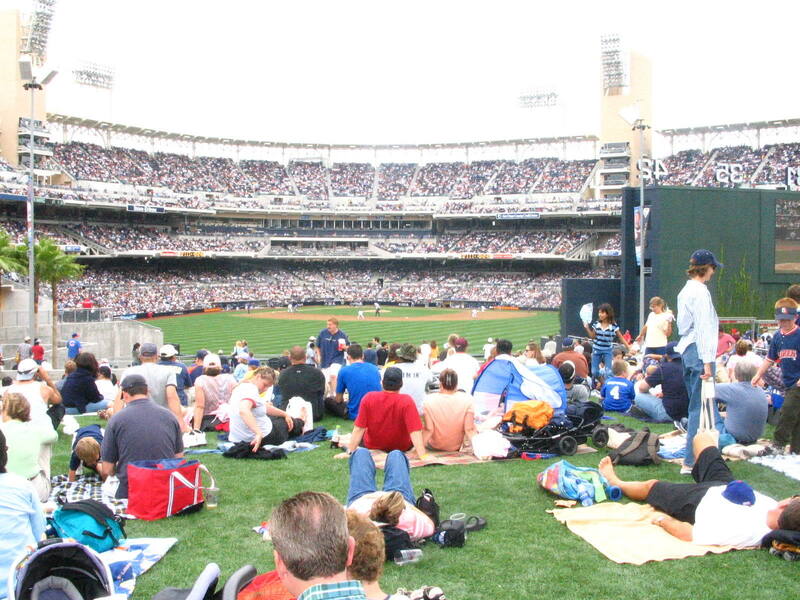 In 2004, you could buy a $5 SRO ticket and stand right there the entire game, right by the warning track !!! 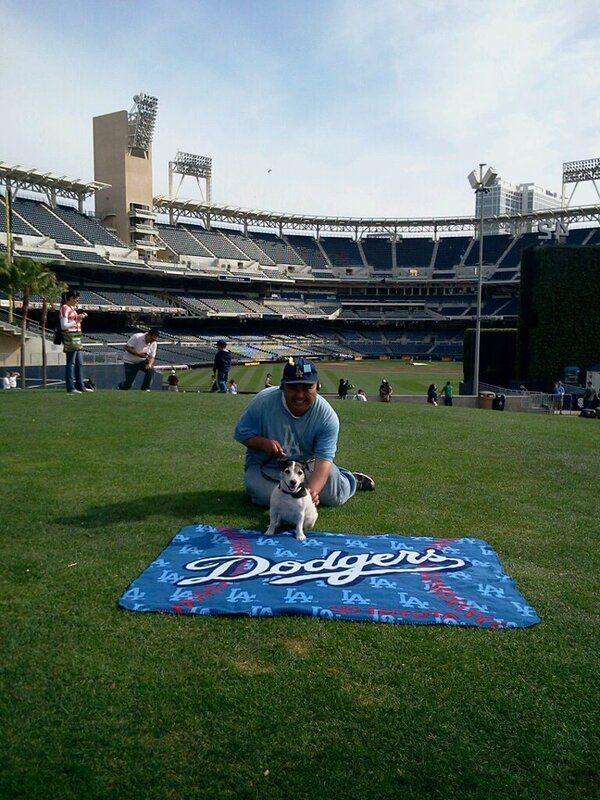 Camera Day, April 2006, and Blue has made it onto the field !!! NOT ON THIS DAY !!! 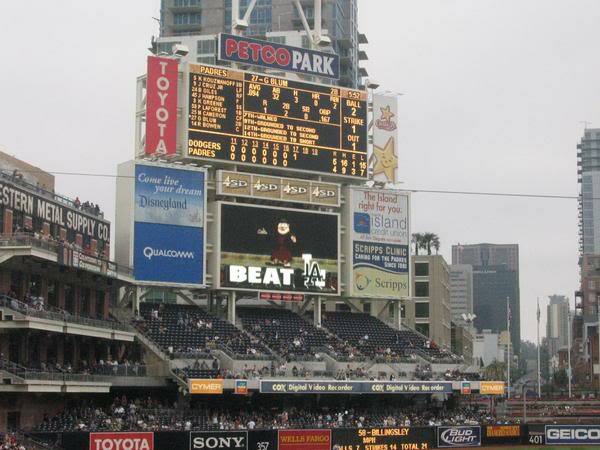 Moments after Jake Peavy would shut us out 9-0. 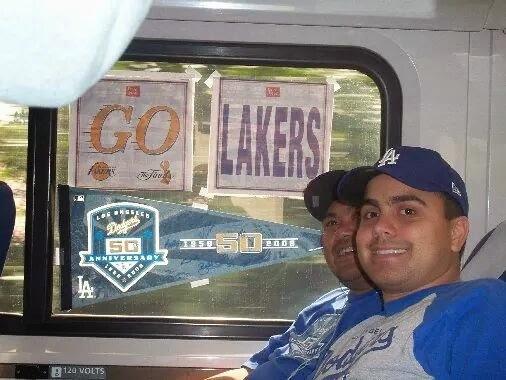 Later that evening, the Lakers would blow a 24 point lead in Game 4 of the NBA Finals against Boston to lose in OT, and to cap it off, our train stalled on the way back and we, along with my buddies Chris and Josh, spent a good portion of our evening stuck in Santa Ana. Who knew it would take a good 8 hours to get from S.D. to L.A, right Chris ? Taking time off work to catch the game from high above. The best part ? The boss doesn’t know !!!! 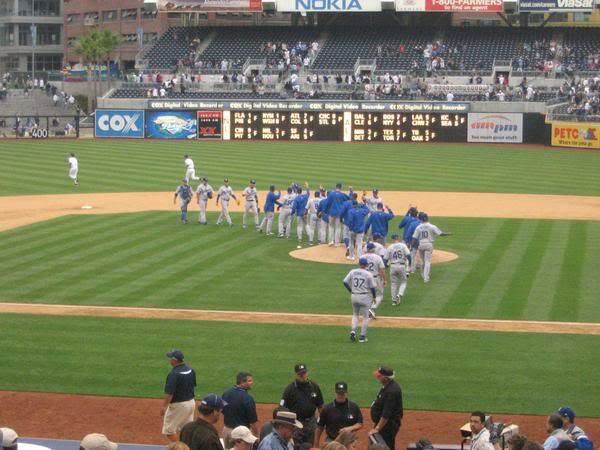 Opening Day ’09, and The Blue come out on top over Jake Peavy and the Friars 4-1, and Matt Kemp among others in that victory line. I wish you the best Bison, just not against us…. 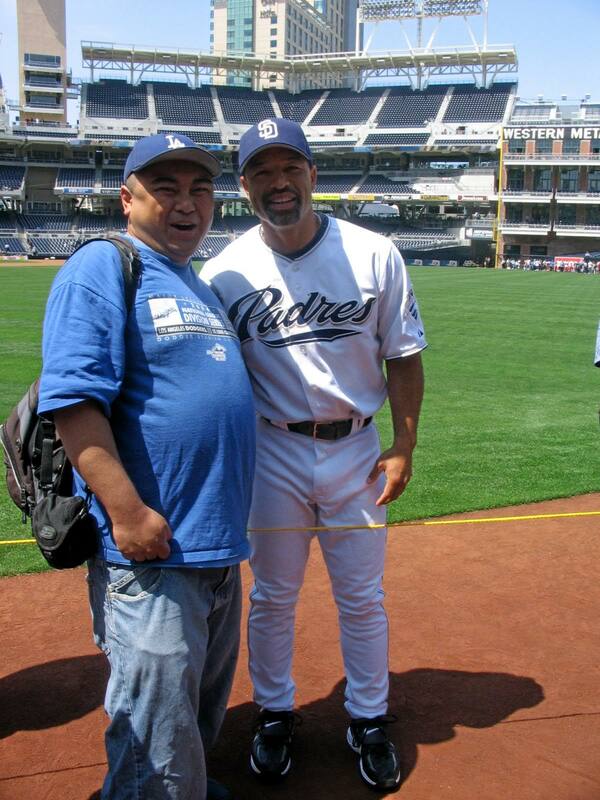 How many ballpark pics have we taken together Josh ? 4/7/2012 Another victory line for The Blue !!! Ugh… ( The graphics dept could at least give us the Hollywood sign as the background…) What did you all think I meant with the groan ? Awe. 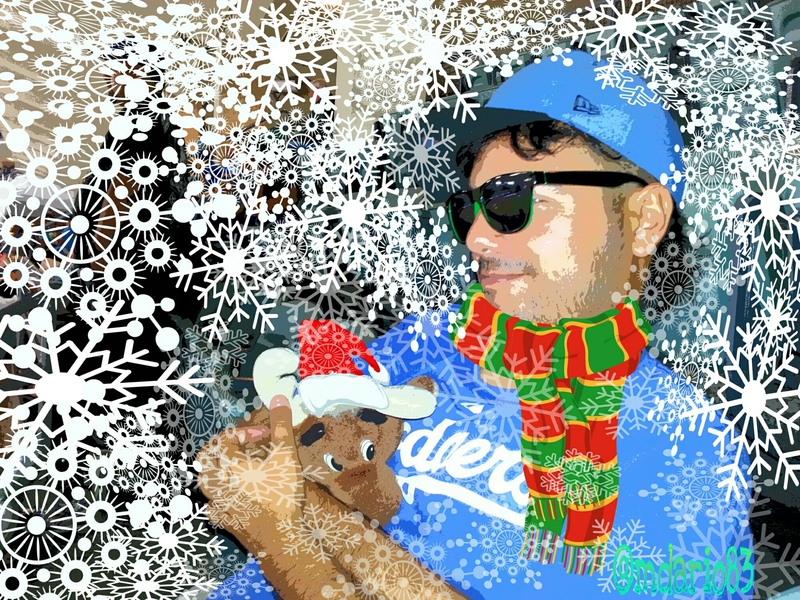 Kid Marly Marlz is all snuggled up with The Mariner Moose, keeping him all nice and warm. The two really have become quite close this season. Hey Kid ! 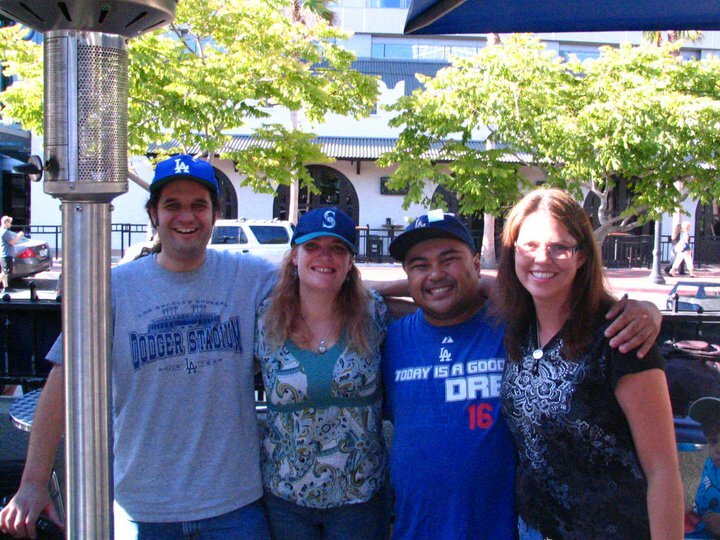 You may want to be careful some female Mariner fan from a few pics above doesn’t see you with The Moose…. 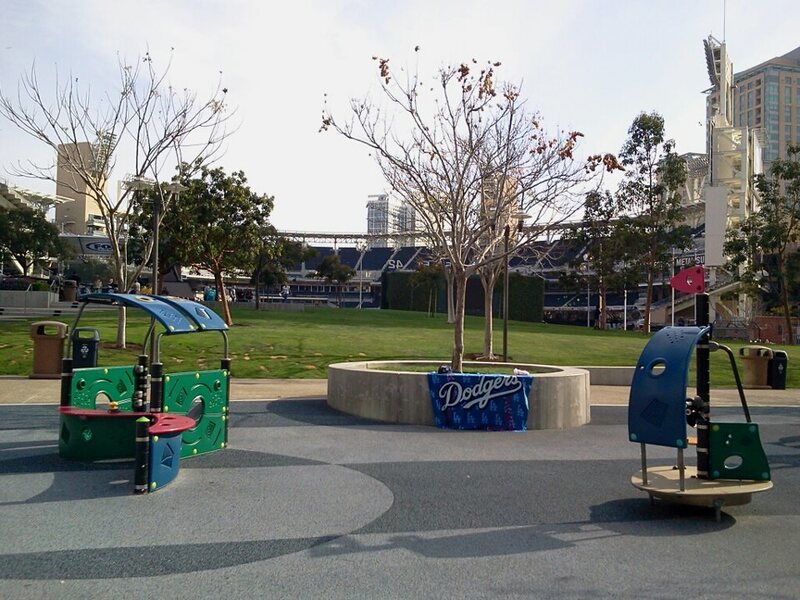 On this unusually snowy day in San Diego, The Kid finds himself playing some ball over at the Lil’ Friars yard with the other kids…. 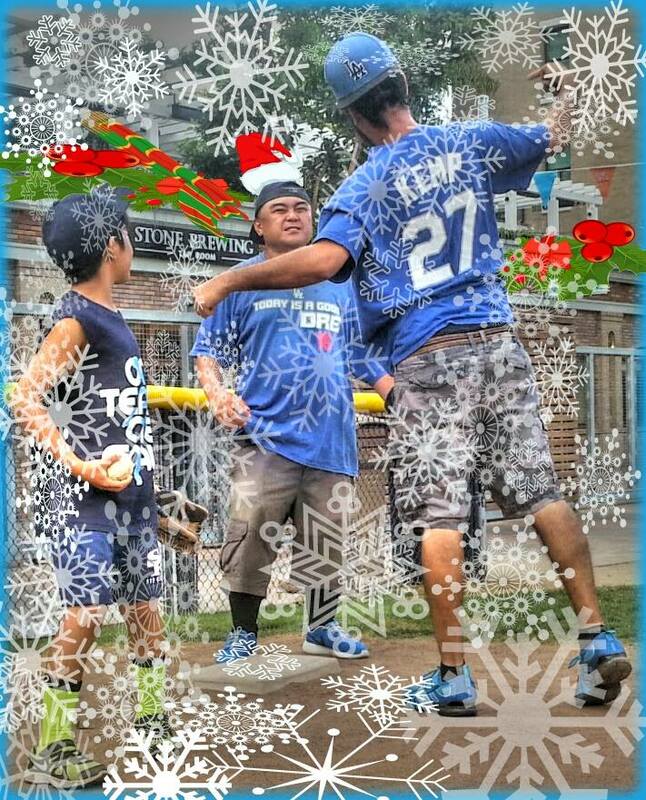 Kid Marly Marlz doesn’t seem to like Dodger Drei’s, or, Santa Drei’s call at 3rd. Hey Kid, be careful now… You wouldn’t want Santa Drei to leave you a whole stocking full of coal would you ? Hey, the snow finally cleared ! 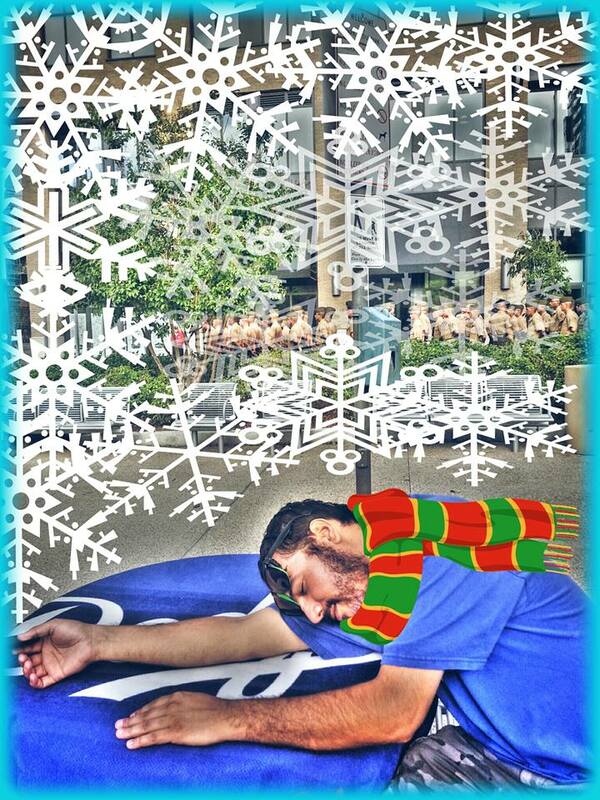 Happy Holidays !!! 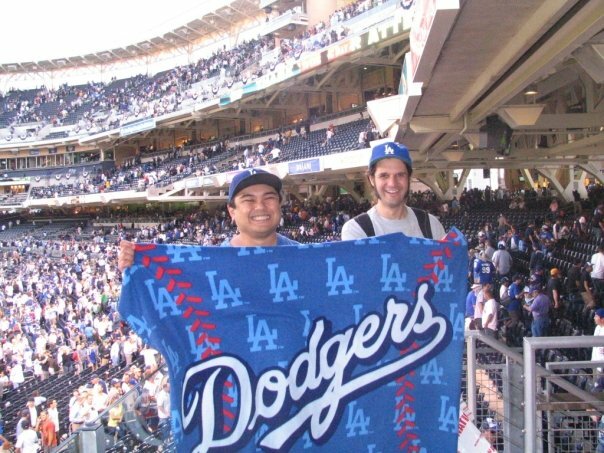 As I was looking back on my pre-season NL Picks , it was both my fear and hope that the Dodgers could survive on a 3 man rotation. Hyun-Jin Ryu did make it back on the hill and pitched an admirable 6 innings in game 3. However, Dan Haren, who after a mid-season slump, finished strong but was nowhere to be seen in the post-season. 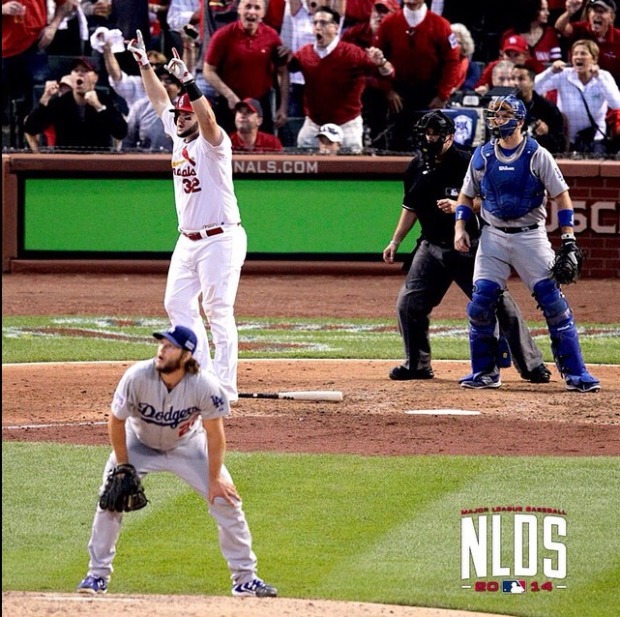 Why St. Louis has had continued success against our Cy Young Award winner is beyond anyone’s guess. 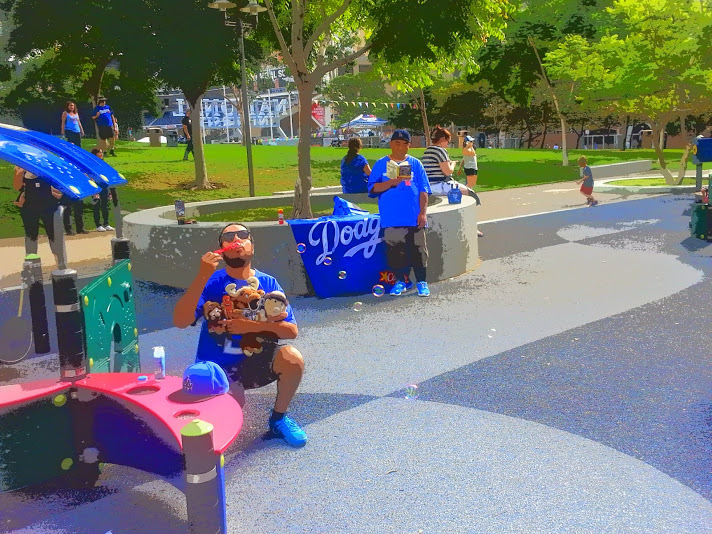 Aside from Game 1, runs we’re at a premium, however, even with the momentum of a strong finish and a healthy lineup, the Dodgers, sans Matt Kemp’s solo shot in Game 2, just could not come up with the timely hits, and the Dodger playoff blues against St. Louis continues . I think by now you guys know the answer to that last question . So now is the time everyone starts playing the blame game. Truth be told, there is enough blame to be passed around . Was this a successful season ? 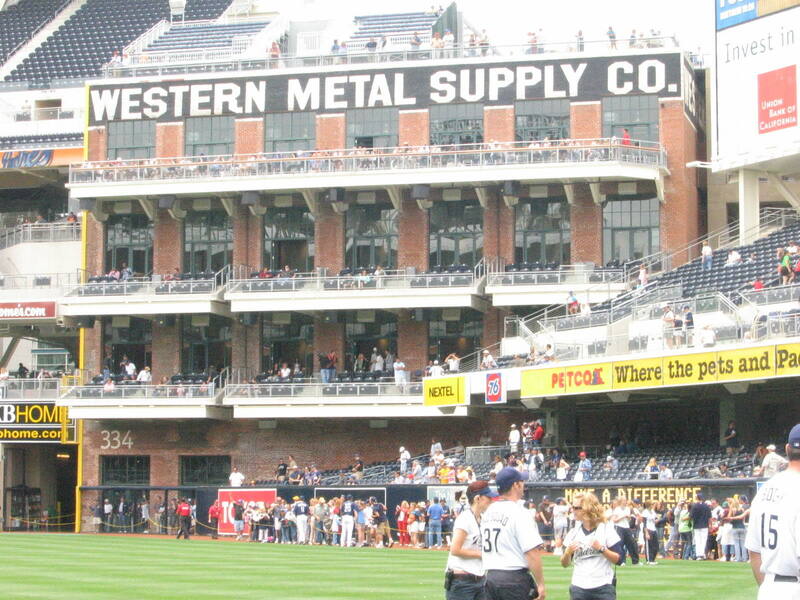 It would be hard to say it was a total fail with 94 wins and a 2nd consecutive NL West Title in the books. Compete success ? Hardly. When $240 million is spent on player salary, it’s expected by everyone that the season would go well beyond 166 games ( Yes folks, that’s 162 and the 4 playoff games that ended before we all had a chance to blink ) . So today, we can only wonder, how and why did it all end so quickly ? Much of the blame will go down to two things. 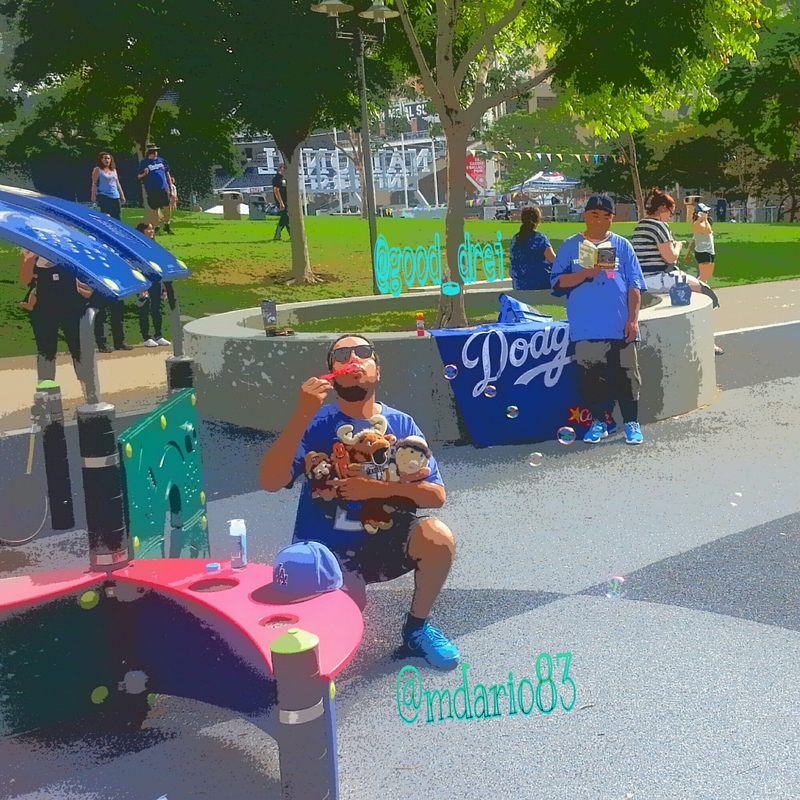 Don Mattingly, and the bullpen. OK, 3 things. 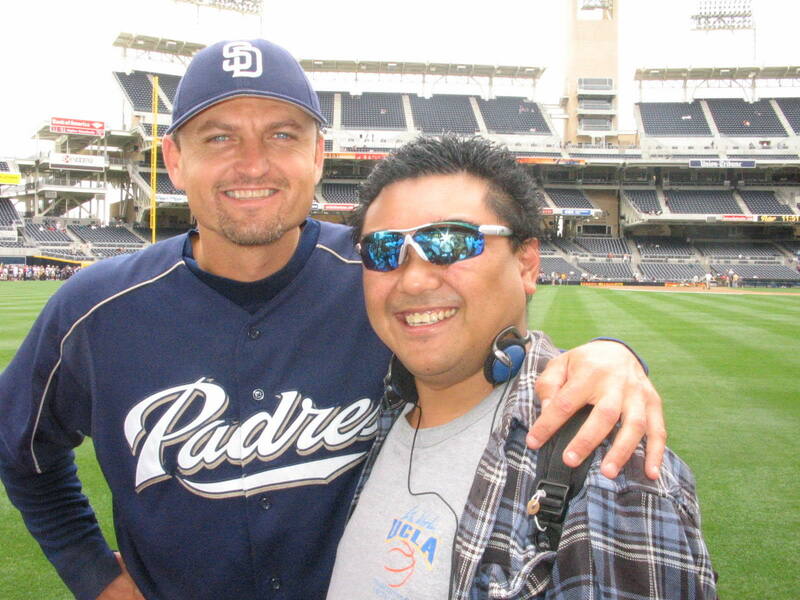 Let’s add GM Ned Coletti’s inability to acquire a setup man that may have been the difference between me writing my post post-season post, or giving my insight to the NLCS. 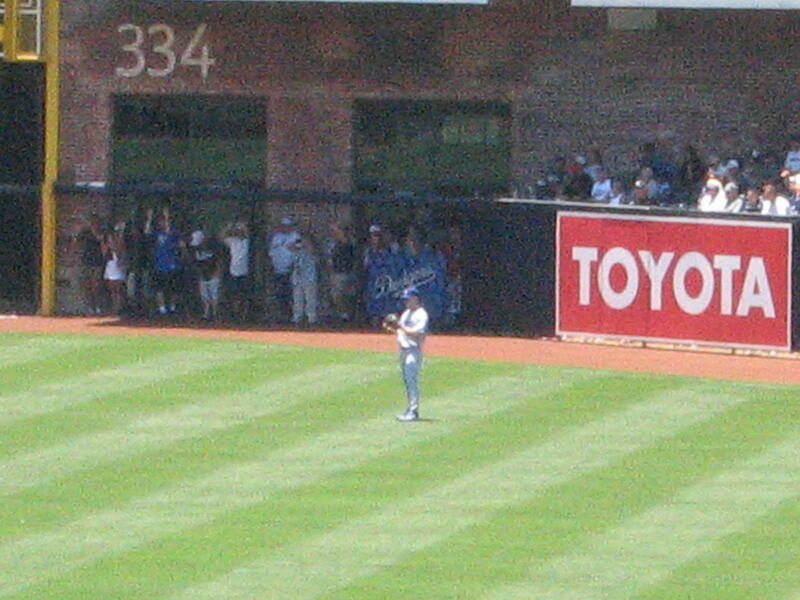 It will be easy to point the finger at Don Mattingly as well, it seems as if that has been a yearly tradition around these parts. Truth is, he was only playing the hand he was dealt. Also, who could have seen our soon to be 3 time Cy Young Award winner Clayton Kershaw coming apart at the seems in the 7th inning, not once, but twice ? Want some other daunting numbers ? Clayton Kershaw is the first Dodgers pitcher to lose 4 consecutive post-season games , bringing his all-time post-season record to 1-5. Those 4 consecutive post-season losses ? You guessed it. All to the St. Louis Cardinals. So Cy K isn’t quite clutch in October. YET ( Yes folks, I did that in all CAPS for a reason ) . 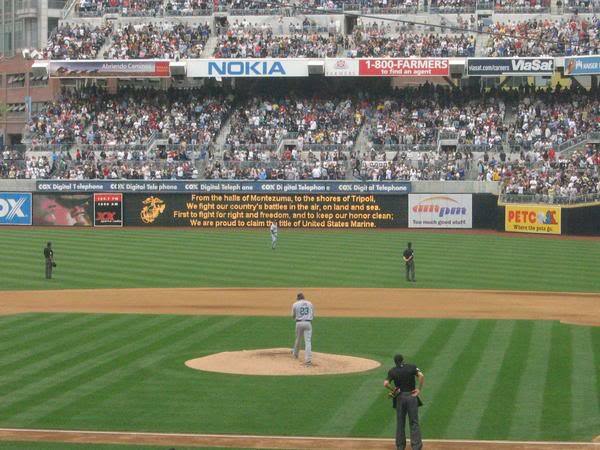 As for Mattingly’s decision making ? The only glaring one I really could question is using Scott Elbert in the 7th inning of Game 3 . Nothing against Scotty, but he had only pitched a little over 4 innings in the bigs all season while practically rehabbing all season. In one of the most crucial moments of the season with a trip to the NLCS in the balance, and we go with a setup man who has pitched , again, a mere 4 plus innings. On the flip side, that just tells you how much confidence Donnie has in that bullpen. $240 million spent yet the only one reliable down the stretch was our closer, Kenley Jansen, who mad a mere 1 appearance this post-season. At this moment, rumors are flying. The big one of course, is the status of GM Ned Coletti . Will he be around at this time next week ? Also, who stays and who goes ? 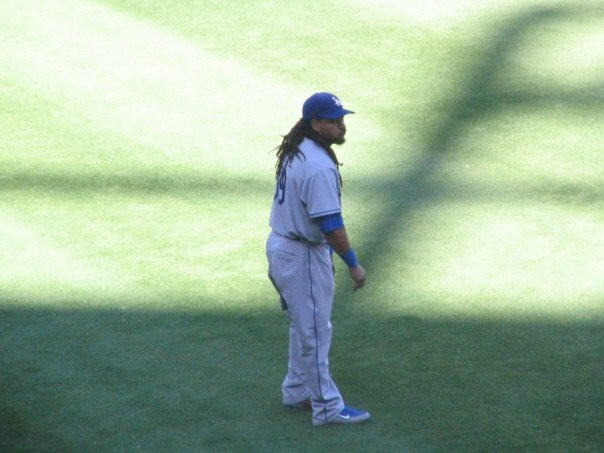 Do the Dodgers retool at shortstop and let Hanley test the free-agent waters ? Brian Wilson has already indicated he will $9.5 million player option for 2015 . Why wouldn’t he ? With his 2-4 , 4.66 ERA stat lines, it would be hard for him to test the open market. So now begins the descent into a long L.A. Winter. One that won’t be so dry this time around. 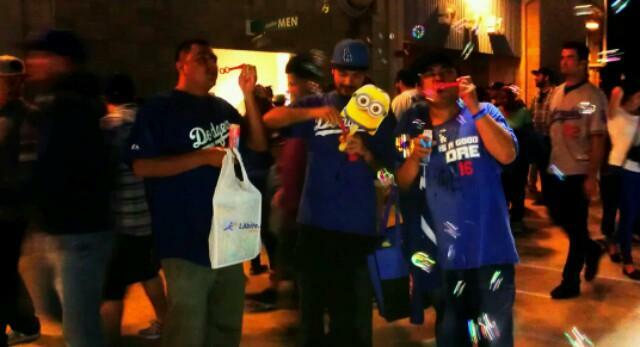 L.A. and it’s proud Dodgers fans are thirsty for a championship. It’s been 26 years now. 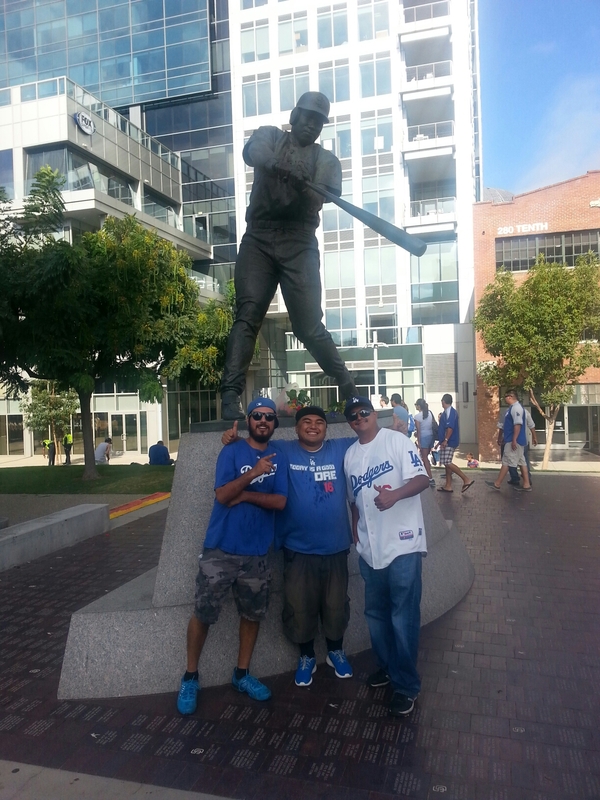 Ronald Reagan was on his last term the last time a World Championship was celebrated around The Ravine. Bobby McFerrin’s Don’t Worry Be Happy was the chart topper. Yes, it’s been that long folks. For those of you born after 1988, I feel your pain. I will stop short of calling this 2014 season a disappointment. It had it’s moments. 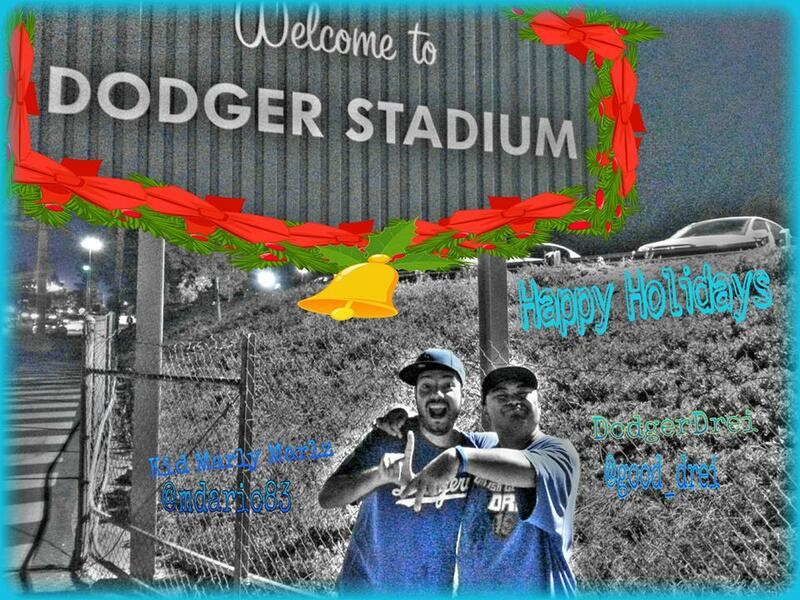 It gave us 2 no hitters from Josh Beckett and of course Clayton Kershaw . This past season also gave us the emergence of Dee Gordon. 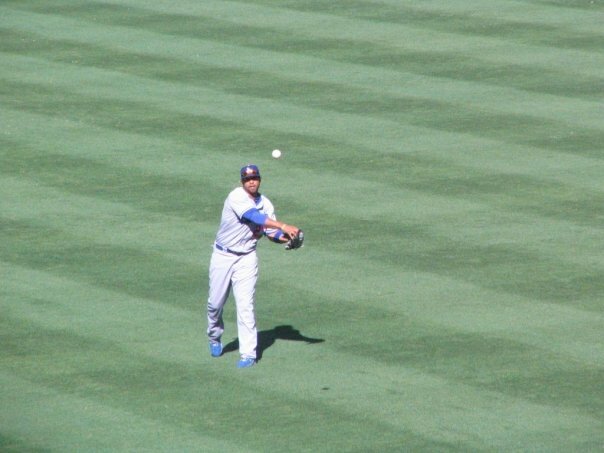 This season also gave us the resurgence of Matt Kemp, who I believe will come back stronger next season. I’ll even go so far as to say 30/30 could come back, provided he stays healthy, and that could be a big question. 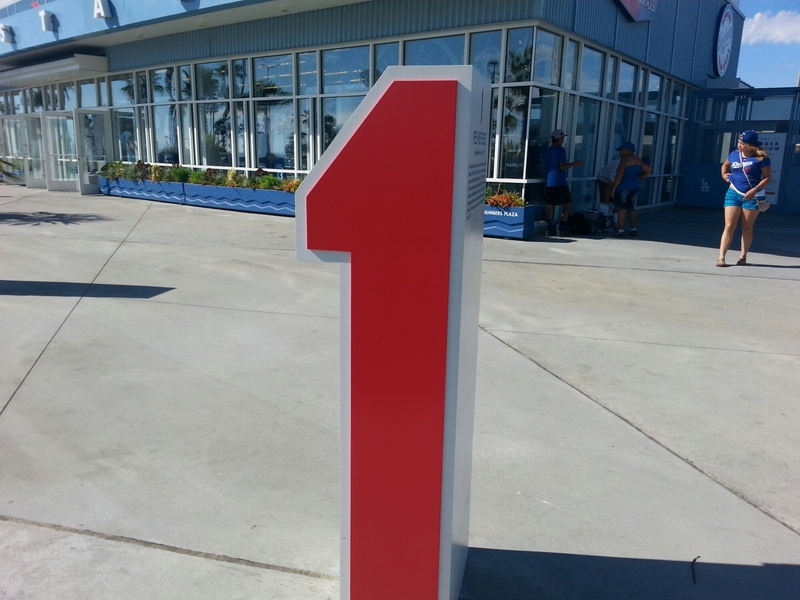 We also saw Adrian Gonzalez lead the NL in RBI’s. There was plenty of highlights to remember in this past 2014 season. Unfortunately, none coming in a double digit day in October. A bit early for this Thank You card don’t you all think ? 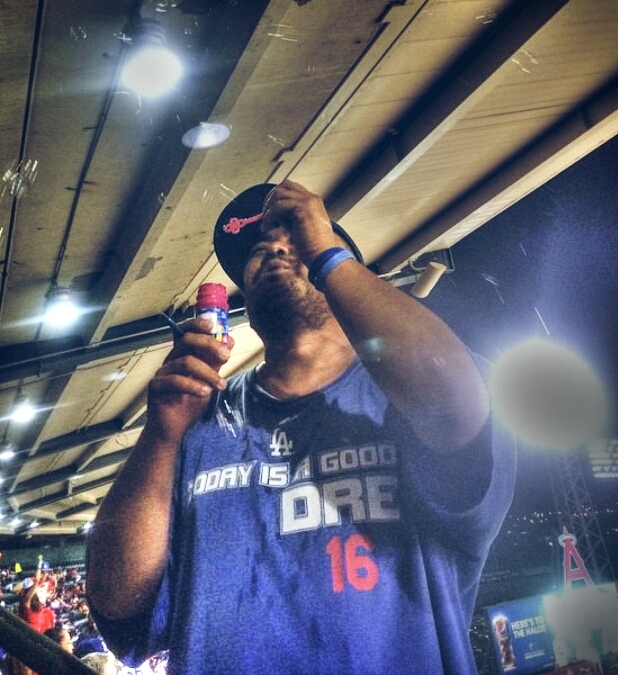 I do want to thank you the readers for your continued following of Good Dre in L.A. . 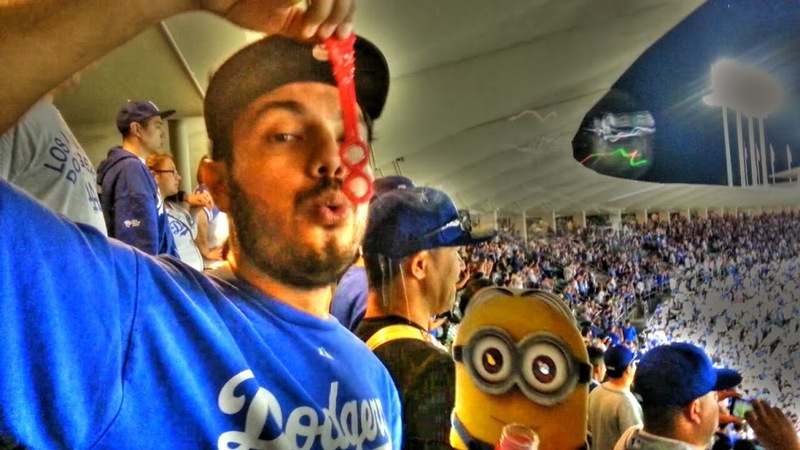 I always do my best to provide you with as much of my Dodger knowledge as well as other fun and at times light-hearted posts from my perspective. 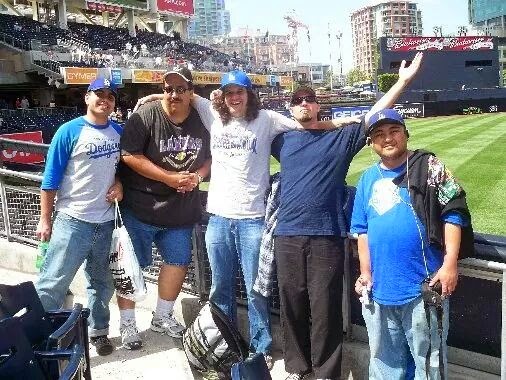 I also want to give a shout-out to the Dodgers-lowdown as well for their tireless work and for helping me reach out to you the readers. So our off-season begins now. That does not mean I will stop posting. Just not as often. 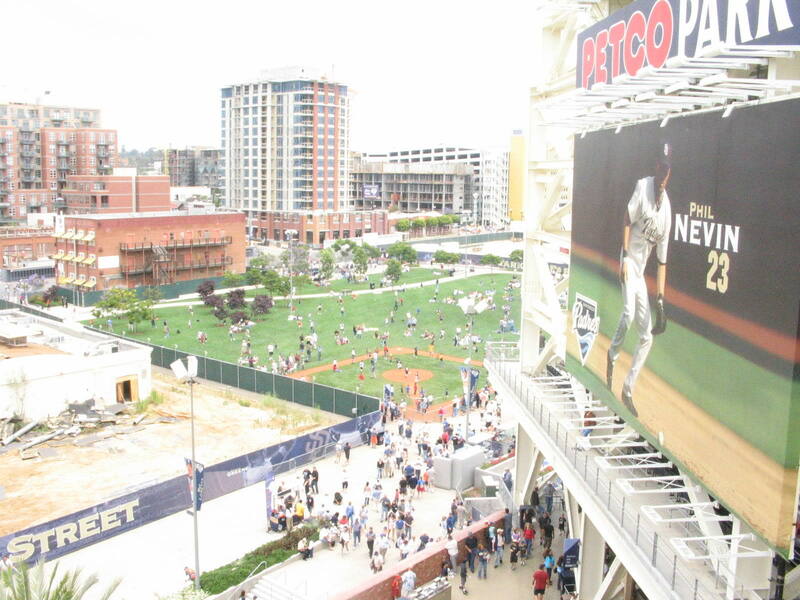 I also do plan on posting other topics non-baseball related at well in a feature I will be calling, Beyond The Yard . Hopefully, you will all continue to follow my posts and of course I will also be giving some off-season thoughts as well. It was a memorable 2014 season, especially for me on a personal not. Unfortunately, this joyride of a season ended all to sudden, and Just Like That… It’s Over . 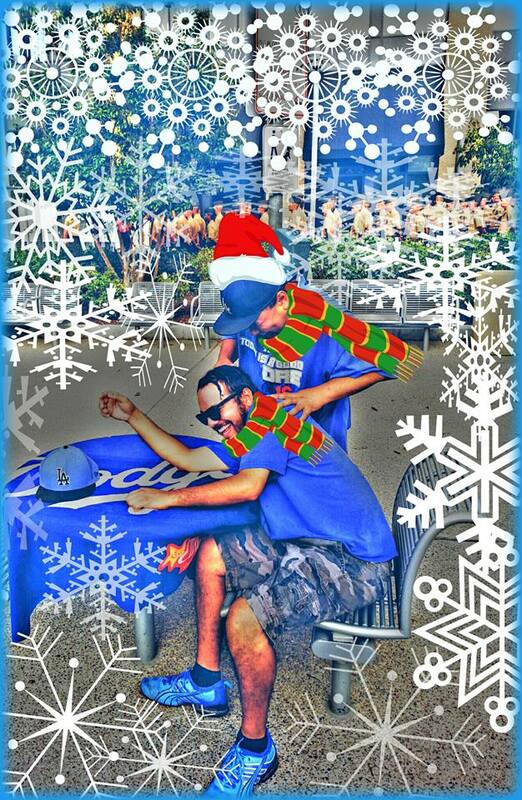 Hey Dre, Drei says it’s been a fun 9 season’s seeing you in the Dodger Blue ! 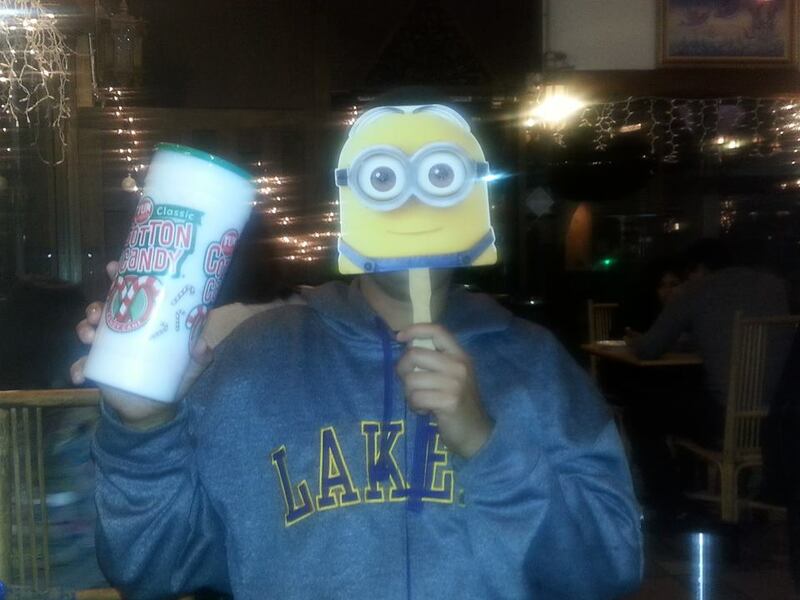 Does Drei see Dre back in 2015 ? 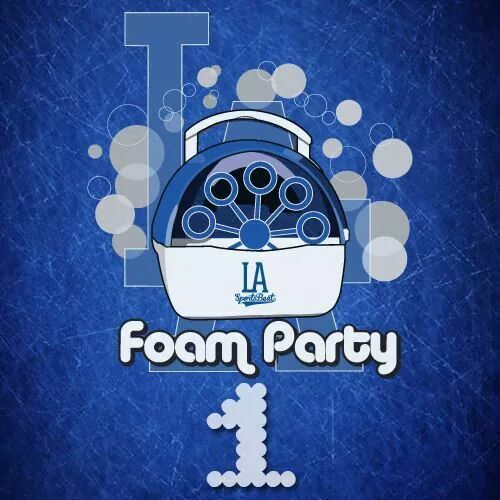 Moments after the Dodgers clinched the NL West with the Boyz Of Summer, Drei, Kid Marly Marlz and JJ keeping the Foam Party alive ! We’re never too old to play with bubbles, are we ? To where it all started… Time to keep the bubbles flowing through October !!! Pee Wee Reese would hold down the shortstop position for the Flatbush Bums from 1940-57 and for The Blue Crews inaugural season in 1958. 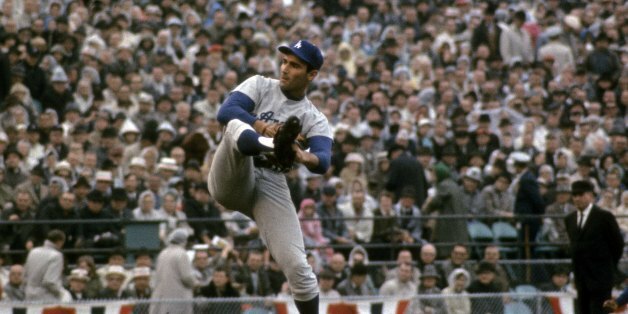 He would beb part of Brooklyn’s lone World Champion team in 1955 as well as the Dodgers first World Championship in Los Angeles as a coach in 1959. One to go folks !!! 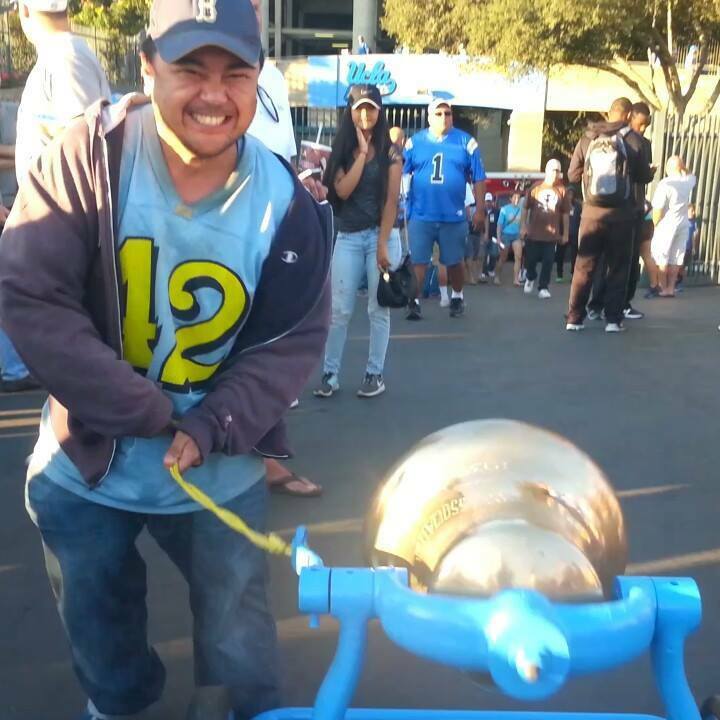 Remember if you’re going to the game to wear your blue !!! 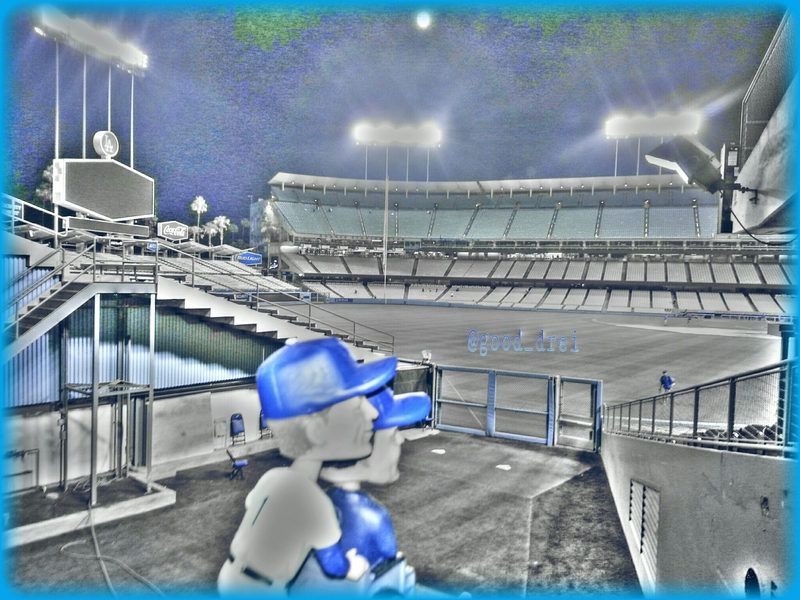 Its all quiet right now at The Ravine, where legends live forever… Roy Campanella, ” Hey Pee Wee, I hear there’s going to be a foam party here tomorrow night…” Pee Wee Reese, ” Lawrence Well is going to be here tomorrow ? “….